Compare weight loss shakes from ALDI, Bodytrim, Celebrity Slim, FatBlaster, Nature’s Way, Optifast, Optislim, Rapid Loss and Weight Watchers on their effectiveness, hunger satisfaction, taste, variety of flavours, value for money and overall customer satisfaction in 2018. ALDI is back on top of Canstar Blue’s customer satisfaction ratings for weight loss shakes. It earned five-star reviews on taste, effectiveness, value for money & overall satisfaction in 2018. It’s the fourth time that ALDI has topped our ratings in seven years. Try as we might, no matter how hard we sweat at the gym, or how clean we eat, those last few kilos just seem to stick around. And with summer never far away, many of us are feeling the squeeze – literally – of trying to fit into our old swimmers. When it comes to losing weight, there are plenty of options to choose from, from the traditional blood, sweat and tears approach, all the way through to the questionable – and potentially unsafe – practices. With so many dieting fads around, narrowing down which one to pursue is almost as tough as losing the weight. 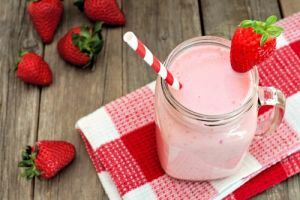 One option that many turn to is weight loss shakes, with plenty of brands offering the promise to help you get your ideal body in no time – and they can even taste nice! While some consumers may be suspicious in terms of dietary supplements – and sometimes rightfully so – many offer an easy way for consumers to safely lose weight quickly, provided that they still put the work in! But when it comes to finding the best weight loss shakes that will suit your lifestyle and your tastebuds, many end up with a sour taste in their mouth. 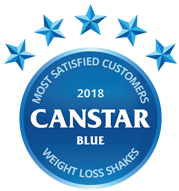 That’s why Canstar Blue produces an annual review of diet shakes, to find out which are helping Aussies on the successful path to a healthier lifestyle. 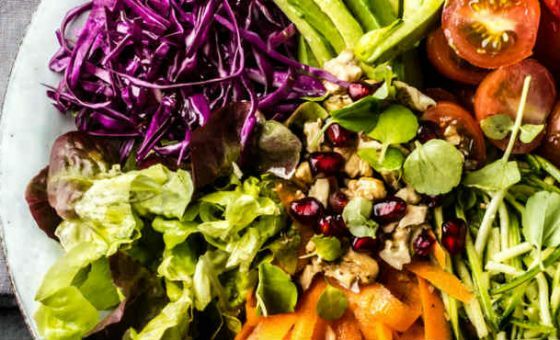 The ultimate aim will be weight loss – but you’ll also want a brand that delivers great taste, keeps you feeling full, and doesn’t cost the earth. So, which brand do you turn to? The survey found that effectiveness (34%), hunger satisfaction (25%) and taste (17%) were the greatest drivers of satisfaction for consumers who consume weight loss shakes, with variety of flavours (12%) and value for money (12%) considered less important. Yes, diet shakes can work. That’s the short answer, but only if you follow the guidelines properly and really commit to the challenge. Weight loss shakes are not a magic solution or magic diet pill that will see you shedding kilos in no time. Losing weight requires patience, dedication and will power. The diet shakes you buy can help you along the way, but their success or failure will, ultimately, be determined by you. 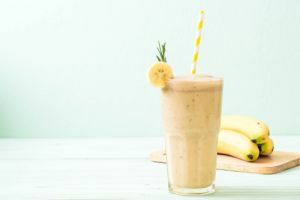 Stick to the advice of your chosen weight loss program – this will typically involve replacing one or two meals per day with shakes – and supplement your shakes with a healthy, balanced diet and regular exercise. 66% of survey respondents would recommend weight loss shakes to others trying to lose weight. To find the best, most effective, weight loss shakes for you, you need to find a brand that keeps you feeling full up and your appetite satisfied between meals. The danger of consuming shakes with very few calories (usually between 50-200 calories per serve) is that you could be prone to snacking, or even turning to the sort of meals you are supposed to be replacing. In many cases, dieters are not helping themselves. Just 38% of respondents said they stick strictly to their recommended program – that’s down from 46% reported in last year’s survey. 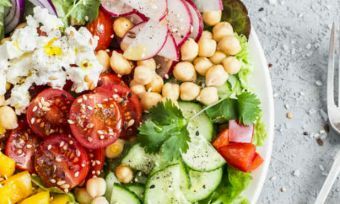 In addition, 65% admitted that they often snack on foods outside of their recommended daily intake, suggesting that while many of us are looking to lose weight, snacking is still one of the biggest hurdles. Do weight loss shakes work long-term? Expert opinion suggests that weight loss shakes can indeed be an effective way to lose a large amount of weight in the short-term. Many programs are specifically designed to last about 12 weeks, giving you the rapid weight loss you’ll want, very quickly. The other question is, however, can weight loss shakes lead to long-term weight control? There’s not much point losing all that weight if you’re only going to put it back on again. As most weight loss shakes are designed for short-term success, once you’ve achieved your desired weight loss, you’re on your own. You’ll have to get used to preparing healthy, balanced meals each day. For some people, this could result in a slip back into old, bad eating habits. If this is a concern for you, a weight loss program that involves replacing just one meal per day, rather than two, could be the way to go. This means that your weight loss could take a little longer, but you’ll get there without radically changing your eating patterns. As they say, slow and steady wins the race. Overall, weight loss shakes can offer a low-calorie, structured and convenient diet plan, with many of the essential vitamins and minerals that our bodies need. They promote behavioural change, plus nutritional education. When used properly, and as part of a healthy, balanced diet, you can expect to lose weight. The great thing about weight loss shakes is they are quick and easy to prepare. You also get the benefit of trimming down by drinking shakes that taste like chocolate, or caramel! Weight loss shakes normally come in powder form, and just need to be mixed with water or skimmed milk (obviously choosing water means even fewer calories). This means they are easy to prepare in the morning and take to work, or grab when you get home with an empty stomach at the end of the day. While the ingredients of weight loss shakes vary between brands, the basic idea is to keep your body fuelled with the vitamins and minerals you need, while suppressing your appetite. What’s in weight loss shakes? Weight loss shakes are made with a combination of different fibres, proteins, vitamins and minerals, plus some other additives and flavours depending on the brand. The ingredients lists found on some products can appear a little scary, packed with long words and numbers you’ve never heard of. It’s hugely important to pay attention to the sugar content of weight loss shakes, which varies significantly. Some products are packed with up to 23g of sugar per serve, while others include less than 2g. Not only is an excessive amount of sugar bad for you, it’s unlikely to suppress your appetite for long. If you want a diet shake that keeps you feeling full up for as long as possible, it’s probably wise to look for those with a large amount of protein. How much do weight loss shakes cost? Using weight loss shakes to replace one or two meals each day can be an expensive way to drop the kilos. Dieting Aussies spend an average of $61 a month on their shakes, our 2018 research found. However, the best way to judge the real cost of diet shakes is to work out how much you would normally spend on the meals that you are replacing. You might suddenly realise that it’s not so expensive after all. There can be a big difference in prices between brands, but make sure you check how many servings you are getting for your money. Generally speaking, buying weight loss shakes in bulk will be the cheapest way to go. Some shakes come in sachets – which makes it easy to work out how many you will need for a week or month – while others come in larger tubs, requiring a little more brain power to determine how much you will need. Jumping up from joint-second spot last year, ALDI has returned to the winner’s position for the first time since 2015. However, it’s the fourth time in seven years that the discount supermarket chain’s Slim & Trim brand has been rated best. 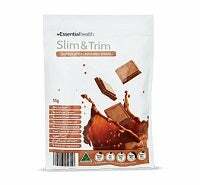 Consisting of a variety of weight loss options, as well as protein supplements, the Slim & Trim range shows that ALDI has plenty of goodies stocked within its shelves. While it may not have the range that other brands have, the Slim & Trim line has enough flavours to keep you coming back, including vanilla, strawberry, chocolate and coffee. Its shakes come in individual serving sachets, so you can buy exactly as many of each flavour as you like and need, and can avoid getting stuck with a whole box or tub full of a flavour that doesn’t end up taking your fancy. They’re also handy to chuck in your bag or keep in your work drawer so you’ve always got a short-notice meal replacement on hand. 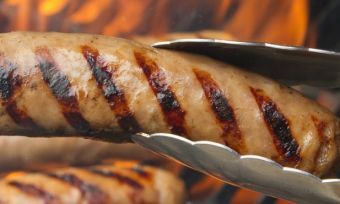 Rated five stars for overall satisfaction, ALDI also scored a five-star rating for effectiveness, taste and value for money, with four stars for the remaining categories. Designed as a ‘bridging diet’ to help you transition into a long-term healthier diet and exercise lifestyle, Rapid Loss meal replacement shakes come in a variety of different flavours, helping to hit the spot if you’re specifically craving something. Rapid Loss shakes are available in 450g and 750g tubs, sold on the brand’s website, as well as in some pharmacies and health food shops. 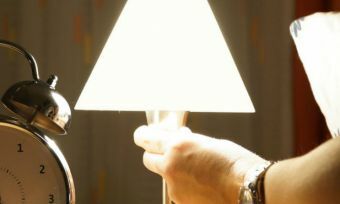 According to Rapid Loss, its shakes can be used as either meal replacements (when mixed with milk) or as low-calorie snacks (when mixed with water). The powder is said to contain 25% of the RDI of vitamins and minerals, as well as high fibre and protein contents to help you feel fuller and to keep control over those between-meal cravings. Rapid Loss also lists articles and recipes on its website for when you get stuck on your weight loss journey, with shakers and kits also available for purchase. With four stars for overall satisfaction and effectiveness, Rapid Loss got the only five-star rating for both hunger satisfaction and variety of flavours, with an additional five-star review for taste, but was also rated three stars for value for money. Among its many weight loss products, including detox drinks, weight loss pills and superfood supplements, FatBlaster provides three types of weight loss shakes. The ‘regular’ diet shake range comes in Vanilla Ice Cream, Double Chocolate Mocha, Chocolate Smoothie, and Raspberry Ripple, with a 30% less sugar range also available. 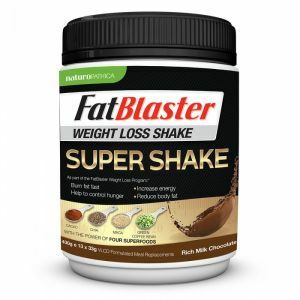 The FatBlaster Super Shake range comes in two flavours (vanilla bean and milk chocolate), and contain four ‘super foods’ – green tea extract, chia seeds, maca powder, and green coffee bean. Both ranges are sold in 430g tubs, containing 13 servings. FatBlaster also offers the Ultimate Diet Shake range, which comes in packets containing 21 sachets, with flavours such as cappuccino, chocolate, raspberry and vanilla. Containing green tea extract, the Ultimate Diet Shake range is exclusively sold at Chemist Warehouse, with the rest of FatBlaster’s products available for online purchase or at your local pharmacy. Scoring four stars in the majority of research categories, including effectiveness, taste and overall satisfaction, FatBlaster scored a three-star rating for value for money. The Celebrity Slim range has plenty to offer, including Rapid Shakes, Low Sugar, Meal Replacement Shakes, Dairy & Gluten Free Shakes, Low-Carb Shakes, plus a pre-mixed ‘To Go’ option. Across the shake powder range, most varieties come in a choice of individual serving sachets (sold in boxes of single flavours or as variety packs) and bulk tubs. Flavours available include chocolate, vanilla, banana, coffee, caramel, choc orange, strawberry, berry, choc mint, cookies & cream, and choc caramel. There are three phases within the Celebrity Slim program – Rapid, Trim, and Maintain –although you can also start at any phase of your choosing. The Celebrity Slim website additionally offers healthy eating tips, recipes and meal plans, as well as exercise plans. Celebrity Slim diet shakes can be purchased directly from the company online, or from supermarkets and some major chemists, with a store locator available on its website. 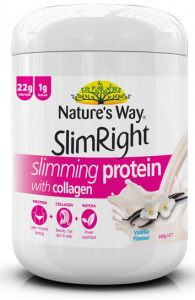 Offering three types of weight loss shakes, SlimRight is a family-owned company which manufactures right here in Australia. The original SlimRight shakes come in a choice of three flavours – vanilla, chocolate, and strawberry with raspberry ketones. The ‘SkinnyGut’ shake formula includes weight loss probiotics and comes in rich chocolate flavour if you’re after something a little different, with Nature’s Way also offering the MetaboLift, which includes a fat burner to increase metabolism. The SlimRight 3-in-1 range additionally includes three ‘superfood’ ingredients – garcinia, chia seeds, and green tea extract – in a chocolate decadence flavour. All come in tubs, purchased from supermarkets and a number of major pharmacy chains. Nature’s Way SlimRight also offers other weight loss products, such as fat burner tablets, superfoods powder and SkinnyGummies, all said to help boost fat and carbohydrate metabolism. 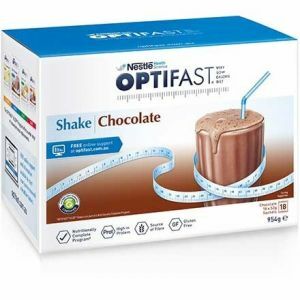 Available to purchase from most major pharmacies, Optifast weight loss shakes come in a variety of flavours, including chocolate, caramel, vanilla, coffee, banana, strawberry and chai, with each flavour gluten-free. These can be purchased as a single-flavour box, of 12 or 18 sachets, or as a 10-pack assortment. Optifast also offers several meal replacement snack bars, plus new additions to the line of soups and desserts. The brand’s website offers guidance for consumers to adopt its suggested Optifast VLCD Program, as well as other tips and information for healthy weight loss. There are four different Optislim diet shake ranges to choose from, depending on your goals. The Optislim VLCD Classic range comes in chocolate, strawberry, espresso, vanilla, and banana flavours, sold in boxes of 21 individual sachets. The advanced VLCD Platinum shake (coming in the same flavours as the Classic range) kicks it up a notch with increased fat burning, reduced hunger, and higher energy levels for faster results, according to Optislim. 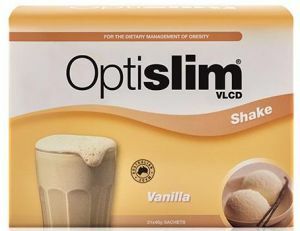 For a less intense weight management program, the Optislim LCD Life range comes in the widest range of flavours, some of which you’d be hard pressed to find from other brands – such as honeycomb, lemon cheesecake, choc mint, and French vanilla. These can be purchased as boxes of seven sachets of the same flavour, or as a variety pack containing the first five flavours. For even more variety, Optislim also offers a number of different bars, soups, and even cookies among the various product lines, making it easier to grab a quick snack without worrying about your weight loss progress. With nutritional information available online via their website, Optislim is available for purchase online in addition to major pharmacies. While rated four stars for effectiveness, Optislim got three stars across all remaining categories, including hunger satisfaction, value for money and overall satisfaction. Known for a wide variety of weight loss options, including meals and exercise programs, Weight Watchers additionally offers a number of diet shakes to help with the weight loss journey. 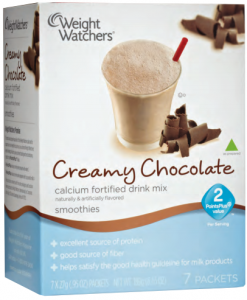 Available in seven-satchet packets at local supermarkets and pharmacies, Weight Watchers shakes come in a number of flavours, including French vanilla, creamy chocolate, choc mint, coconut and hazelnut. Each type offers additional nutrients and benefits, such as fibre and calcium, with nutritional information also listed on the company’s website, making it easy to keep track of your intake. 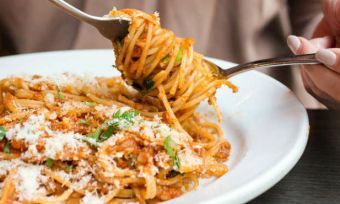 Rated four stars for variety of flavours, Weight Watchers got three stars for all other categories, including value for money and overall satisfaction. 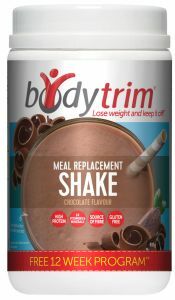 Keeping things nice and simple, Bodytrim provides just two flavours of weight loss shakes – chocolate and vanilla. Both the meal replacement and fast shakes can be purchased as either packets of 18 single-serve sachets or as 495g tubs at supermarkets and pharmacies. These nutritionally balanced meal replacement shakes are gluten free and contain no preservatives, artificial flavours or artificial colours. Bodytrim does offer a bit more variety for those looking for easy meal replacements for their weight loss journey, with toffee bars, slices, fudge bars, and cookies in multiple flavours. Rounding out the results, Bodytrim scored a three-star rating in most categories, including overall satisfaction, but was rated just two stars for hunger satisfaction. Which weight loss shakes should I use? Used correctly, weight loss shakes could help kick-start you dieting journey, but experts suggest they are unlikely to take you all the way there. Finding a program that keeps you interested should certainly help though, which means having a wide variety of flavours to choose from, and ultimately being nice to drink. Eating well all day and then coming home to a horrible-tasting diet shake is likely to see you reaching for the biscuit tin in no time. Also, consider shakes with above-average protein content because this is likely to help keep you feeling fuller for longer. Ultimately, which weight loss shakes you decide to go with – if you decide to use them at all – will come down to your individual circumstances and goals, as the weight loss brand that suits one person may not suit another. To ensure that you end up with the best brand for your needs, our ratings provide a helpful, high-level guide, but it’s also worth asking around your friends and family to get their views. And be sure to consult your GP before making any drastic changes to your diet. Canstar Blue surveyed 6,000 Australian adults across a range of categories to measure and track customer satisfaction, via ISO 26362 accredited research panels managed by Qualtrics. The outcomes reported are the results from customers within the survey group who have purchased and used a weight loss shake in the last 6 months – in this case, 785 people.